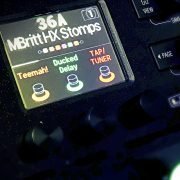 The NEW M Britt Helix Preset Pack is a collection of 32 Presets for the Line 6 Helix. These presets represent most of the basic tones that I would need to get through a gig, with a few options for each one, as well as a few wacky, fun presets with lots of fx. Most of the favorite food groups are covered, including: blackface cleans, Vox/Matchless cleans and slight breakup, plexi type rhythm and solo tones, and overly processed tones for solos and textural parts. 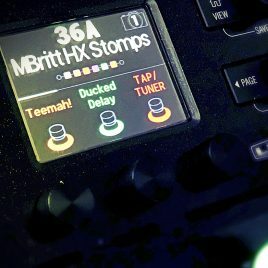 *These presets are for the Helix Floor and LT, not the HX Stomp as yet. These presets incorporate 14 different IRs from the M Britt Custom IR Pack 1. In fact, I’m including all 30 of the Custom IR Pack IRs with these presets if you want to do further experimentation. Taste is subjective, but the goal is to have basic, usable sounds as a base so you can create your own gig-worthy song presets. I tried not to use any EQ blocks in any of these presets, opting to just use the amp model EQ and give you enough room as possible for future tweaking, simply trying to tailor the cab IR to the amp model for the best possible match. Of course, you’ll notice that a couple of the cab IRs seem to be my favorites, especially on the Marshall and Vox type presets. You will need the Line 6 Helix Editor software to import these presets individually into your Helix. And since the Helix platform doesn’t save the IR with the preset, it will be a multi-step process to match the preset to the corresponding IR that I created it with.  Further instructions can be found in the information sheet .pdf. The sound samples below were recorded direct into ProTools 10 via an Apogee Ensemble interface with no compression, EQ, or processing added. 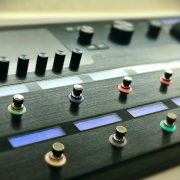 The Helix XLR main outputs were run straight into the Apogee. All clips were recorded with my Tom Anderson Cobra with 3 P90 Antiquity pickups, except for a few strat type tones which were recorded using an Xotic XSC strat. Please excuse the sloppy playing. I got an Atomic Amplifire pedal to try and thought it had good sounds and a lot of potential. Our keyboard player started playing a little electric guitar on stage a couple years ago so I helped build a rig for him and when I got the AmpliFIRE, it quickly replaced the HD500 he was using. With a bit more experimenting and making my own IR's for it, I got sounds that were pretty close to what I would get profiling my own amps, so I made a little video demo showing what it was capable of. The response was pretty positive for the most part and lots of folks started asking if I was going to release my presets. When I shot the video, I used the same IR I made of my 3rd Power 112 cab for all of the presets and just eq'd them to mimic my favorite Kemper profiles. 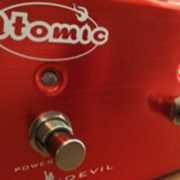 Once I got it in my head that maybe I'd release some, I decided to spend a bit more time and try a few other IR's that I had made and even tweaked a few to work with some of the different amp models built into the AF.